Duracell Coppertop AA is the #1 Duracell consumer brand battery. These batteries are packed in bulk. Long lasting, reliable power in a Duracell Coppertop AA. Coppertop batteries are the #1 Duracell brand, delivering durable, dependable, and long-lasting performance for you. These Duracell Coppertop AA batteries deliver dependable, long lasting power. 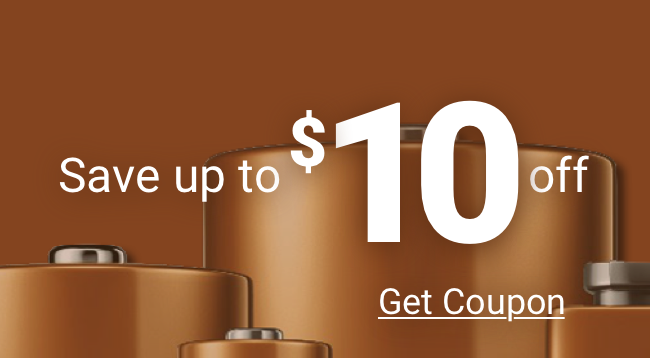 As with all our batteries, these Duracell Coppertop AA bulk batteries are guaranteed. Duracell Coppertop AA batteries are continually being improved to provide advanced performance in all battery powered devices. Independent battery testing has found that Duracell Coppertop AA batteries work just as well as, or even better than other disposable brands, including batteries labeled "advanced" or "ultra". Duracell Coppertop AA batteries receive higher ratings from owners, who say these are less likely to leak than cheaper battery brands. Duracell Coppertop AA are used for wireless microphones, hand held devices, pagers, ear monitors, flashlights, calculators, remotes, cellular phones, cameras, meters, infusion pumps, door locks, and more. Duracell Coppertop AA can operate in a wide temperature range from -4° F up to 130° F, making them durable and long-lasting for any situation. Ordering Duracell Coppertop AA batteries with Medic Batteries is easy and convenient when you order in bulk. We offer free shipping on large orders, which are delivered directly to your door. You don’t have to waste time traveling between stores to find the Duracell Coppertop AA. With the click of a button, your new Duracell Coppertop AA batteries are packaged fresh with a minimum shelf life up to 4 years. Our batteries are securely stored in our warehouse. Medic Batteries prides itself on delivering quality products and excellent customer service on every order. Not only do we offer the best discounted wholesale prices online but each order is backed by our 100% satisfaction guaranteed promise. If your order isn’t correct, just give us a call and we will make it right. As one of the largest online retailers of Duracell Coppertop AA batteries, our focus is to the customer and ensuring every order is shipped correctly and quickly.